It has been a lifelong dream of mine to visit the mother of all continents, Africa. Up until now, I have only known Africa from watching Planet Earth (my favorite) and of course shark week. Thanks NatGeo! My husband is half South African so it made complete sense to go and pay our respects to the homeland. It just so happened that our wonderful cousin was getting hitched there so we decided to make the most of it. A city like no other, Johannesburg is rich in culture and history. The largest city in South Africa (many people moved there originally to find gold) it offers plenty to see and do pertaining to Nelson Mandela and the anti-apartheid movement. I visited the Apartheid Museum along with Constitution Hill and learned much about what happened during those years. I knew a little about it from the movie Invictus but nothing compares to seeing the city firsthand. Nelson Mandela was one of the most amazing people to walk this earth and he prevented the country from becoming a bloodbath. These two places are a must see when visiting JoBurg. WonderTip: It is not the safest city to travel around by foot. Most of the houses and apartments are surrounded by high walls with electric fences. It is best to take an Uber everywhere you want to visit and staying off the streets after dark is recommended. Better to be safe than sorry. This hotel is very nice and is located in a nice area of JoBurg known as Melrose Arch. There are plenty of restaurants and bars in this area and it’s one of the safer places to walk around at night. Sandton is an affluent place and one of the safer areas of JoBurg to stay in. This hotel is right in Sandton with walking distances to Sandton City (the large shopping center) as well as Nelson Mandela Square. When you think of South Africa, the one city that comes to mind is Capetown. Capetown is the poster child of beauty. It is uniquely gorgeous and has one of the prettiest mountains in the world, Table Mountain. Despite the onset of the crucial water crisis, there are still many places to go and visit in and around the Capetown area. I can’t remember a time where I compiled numerous activities in the span of only a few days but alas, that sweet adrenaline keeps you going. Wondertip: The rooftop is only open to guests staying at the hotel however the views of the city are indescribable and majestic. Located in the Marina district of Capetown,( also near the Hotel Silo), this hotel offers a waterfront view and close to all the shops, restaurants, and entertainment in the marina. A bit on the pricier side, this lodge is more private and has limited rooms (suites). It offers amazing local South African cuisine nightly. Included in this price, you go on two safaris per day. One in the early morning, when animals are most active and one in the late afternoon. A bit more on the budget side although these hotels are going to be a bit more expensive than most parks because private game reserves are more expensive. Wondertip: I will say the nice difference of going to a private game reserve, you don’t say a ton of vehicles around you and you go off roading into the bush to really search and get up close and personal with the animals. One of the greatest highlights of the trip was Cage Diving with Great White Sharks. This has been on my bucket list forever, especially because I’m a big fan of Shark Week! We took a cab ride about 3 hours outside of Capetown (our pick up was 3:30am) to a town called Gansbaai where the sharks are most prevalent. As you can see, it was a wild ride and the swells were huge. 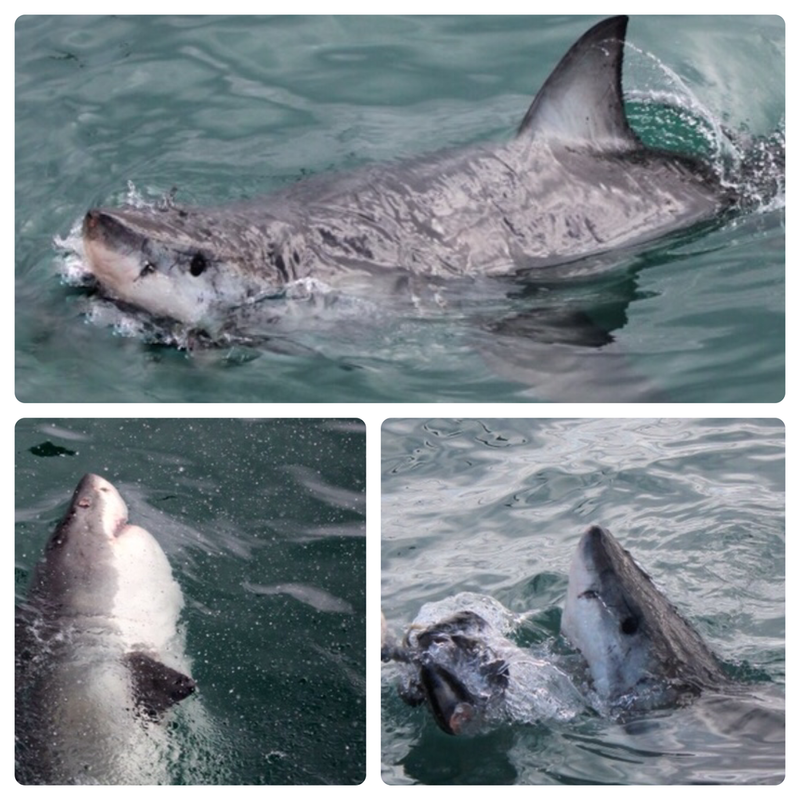 We saw 2 great whites which came close to the cage and it was incredible. The water was extremely cold but don’t worry, you’re snuggled up in a wetsuit to keep you warm. A truly incredible experience. Wondertip: If you’re prone to seasickness like me, I highly recommend you take dramamine before you leave port.